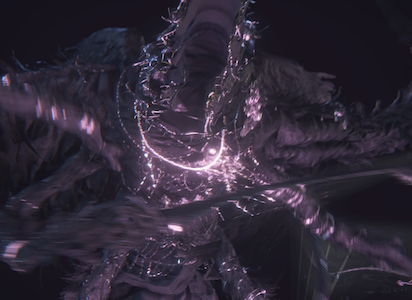 Mergo's Wet Nurse (メルゴーの乳母 Merugō no uba lit. 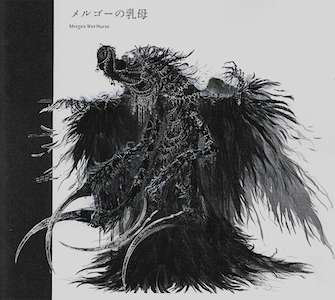 "Mergo's Wet Nurse") is a Great One Boss in Bloodborne, and one of the three possible Final Bosses. Gain 3 Insight for finding the boss and 3 Insight for killing it. This boss is not optional. Unlocks Blood Rock as a purchasable item at Insight Bath Messenger. Nightmare of Mensis upper part after inside elevator, after the Mergo's Loft: Middle lamp. When health drops below 70%, Phase 2 initiates, but only becomes more aggressive during Nightmare Veil. Do not fear her flurry attack where she swings all of her blades- it may seem intimidating, but if you can run around to her back, she can only hit you a couple of times from there, and you can easily regain that health by attacking. It's also the best time to lay down some heavy damage. At an unknown trigger, the nurse will create a purple fog that engulfs the area, and a clone will appear and perform an attack every time the real Nurse attacks. After about a minute, this fog will dissipate, as will the clone. During the fog, the clone will warp around the arena (typically behind the player) in an attempt to catch the player off-guard. While the original uses a variety of leaping and long-range attacks, where her arms extend to extreme length. 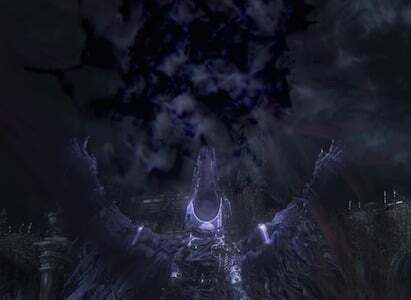 During this part of the fight, the bosses' back is often left wide open, providing opportunities to deal massive damage. The clone can be destroyed by just a single attack, if you are using a fast weapon, you can destroy it before it can attack and go back to the real Nurse to get in easy damage. When the purple fog appears, lock onto the original Nurse and evade counter-clockwise. She will always teleport to the player's left side, and won't be able to keep up. During subsequent fog phases, both the Nurse and the clone will teleport to the players right as they run counter-clockwise. The strategy still works perfectly though with the occasional jump/roll added while moving. It is possible to prevent the purple fog if you can stagger her while she is casting it. Evade toward her left side to avoid many of her attacks. Getting to her back side guarantees safety from most of her attacks. Poison Knives are very effective against this boss. Molotovs and Oil Urns can be combined for a safe, effective strategy. 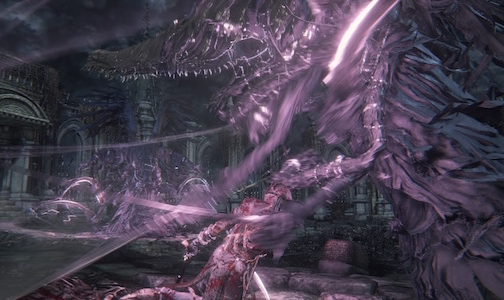 The Arcane weapon buff Empty Phantasm Shell is effective against this boss. Using the Tiny Music Box during this fight will cause the Wet Nurse to side step. Most of her attacks (save for the blade flurry) can be rolled under. Pay attention to which way her arms move when she swings them around. She is particularly weak to bolt, an upgraded Tonitrus or another upgraded weapon with Bolt Paper can do massive damage to her. She is extremely weak to Rapid Poison as well. Flying Lunge Dodge forward into the attack or evade to the left or right to avoid this attack. 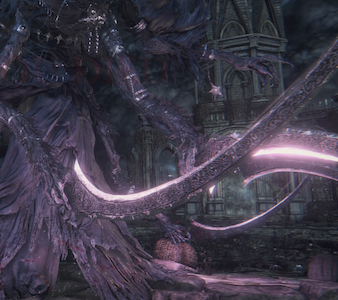 Long Slashing Attack with all Blades The Wet Nurse slashes viciously with all blades. Evade away from this attack or position yourself behind the boss so that you can attack during this long animation. Spinning Attack The boss spins from its left to its right. Evade into the boss towards the left side to avoid this very dangerous attack. If this attacks hits you will take massive damage. Lunge Attack The boss uses all of her blades to to do lunge attack in a straight line in front of her. If you take your distance, the attack won't even hit you most of the time. Blade Slam The boss slams all blades on the ground in front of her. Has a long windup, and is easy to get hits in if you roll behind her. Arm Stretch Occurs while the arena is covered in fog. The Wet Nurse stretches her arms forward in an attempt to stab the player. While this attack covers a great distance and can be difficult to see, it's easily avoided by dodging to the side. Nightmare Veil Blankets the area in darkness, drastically reducing visibility. Keep moving till it wears off. Deathly Duo Used only while Nightmare Veil is in effect. Summons a clone that attacks from beside you at regular intervals; Dash counterclockwise along the edge of the arena and don't stop moving until the effect ends. 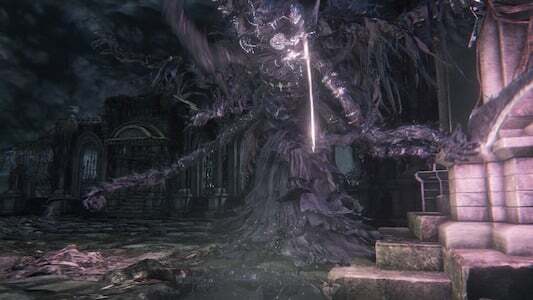 Mergo's Wet Nurse bears a resemblance to the Amygdala's with its four pairs of long limbed arms, although its head shape is entirely different. 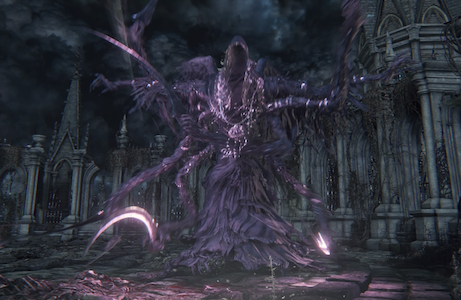 The nightmare slain is actually Mergo, or the nightmarish link to Mergo, for whom the wet nurse is only the guardian. The long pause between defeating the boss and the confirmation that the nightmare is in fact slain only happens after the baby's cries fade away and goes silent. Mergō is the first person form of the latin verb mergere which can mean anything from "to submerge", "to overwhelm", "to drown", "to conceal". 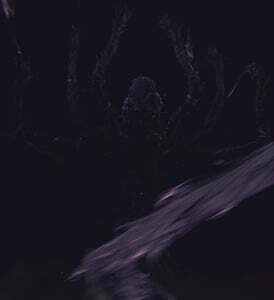 One may assume that Mergo submerges the player and various NPCs in The Nightmare. Mergo continues to cry during the fight and there is a strange patch of light just past the crib. She is the only Great One that uses weapons and the blades greatly resemble the Burial Blade. 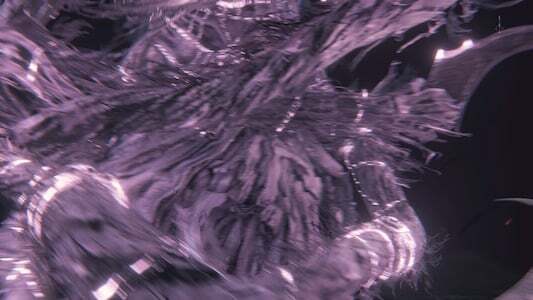 According to the Burial Blade's description the blade, the siderite blade "fell from the heavens". It may have been dropped or given by The Wet Nurse. The Wet Nurse does not bleed. Instead, hitting her produces puffs of dust and a strange sound. The same thing happens when hitting ghostlike enemies like Silver Lady, Evil Labyrinth Spirit and Mad Ones. This suggests that The Wet Nurse is a disembodied spirit. She has the same number of limbs as Amygdala and the Mi-Go (plus two wings). When seen from above she forms a star, or pentagram with her top arms, wings and "head". The Wet Nurse has a unique way of stretching her arms to attack. 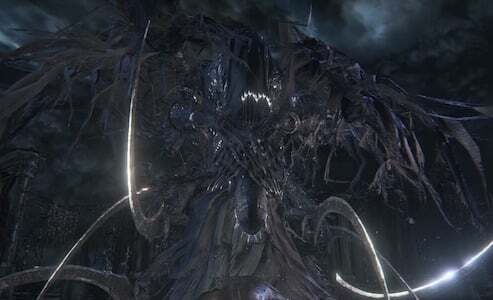 This feature has also been displayed by Manus, Father of the Abyss. She is in fact invisible. Beneath her dress you can detect the movement of legs. The sound of her footsteps make her sound heavy. Her amulet, with its four gems, matches the rune Communion. This is also a symbol of The Moon Presence and The High Priestess. Her limbs and head very awkwardly match the backside of Ebrietas when she is sleeping. The amulet has a strange way of swinging forward. It is inconsistent with the Wet Nurse's movements and it makes it look like the amulet is yanking the Wet Nurse forward. It's possible for the clone to remain after the fog dissipates. She has one of two One Third of the Umbilical Cord's in the game that don't require correct actions to be taken at set times. The other being in the Abandoned Workshop. 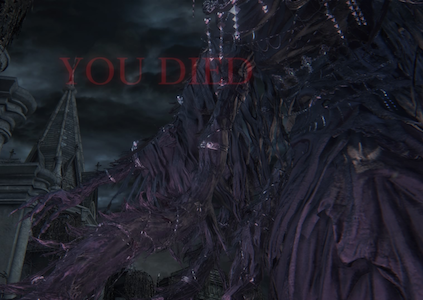 After Mergo's Wet Nurse dies, the lullaby stops and the baby starts crying. However, using the Tiny Music Box makes the baby laugh before it goes silent. 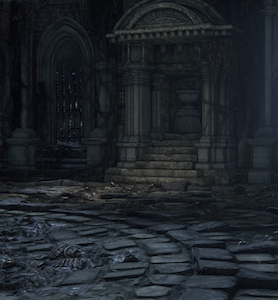 After defeating her you can also go back the direction you entered, and Queen Yharnam, who was previously sobbing, will bow her head in thanks and vanish. 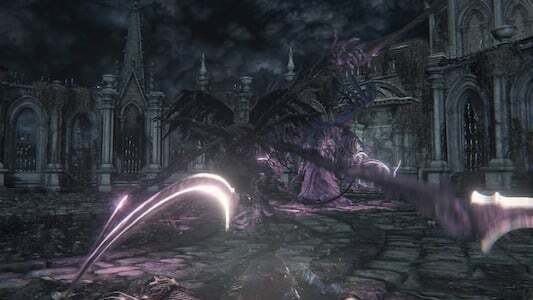 Mergo's Wet Nurse, along with Moon Presence, are the only two bosses that give the message "Nightmare Slain" instead of the normal "Prey Slaughtered" (or the Japanese message "You Hunted"). However, it could also be argued that the "Nightmare Slain" message doesn't appear until Mergo's crying stops, implying that the Nightmare was Mergo. The DLC increases this number to three with the Orphan of Kos. The battle is triggered by going near the baby stroller, so it's possible to circle around the whole arena without starting the fight, as long as you stay a certain distance away from the stroller. This fight was bugged and seemingly incomplete in pre-release copies, having only one attack programmed. This is not the case in the proper releases. Restarting the console seems to help with that glitch. 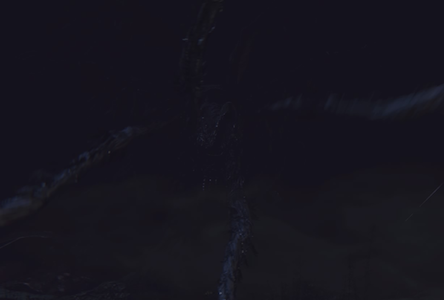 If you kill Mergo's Wet Nurse while she finishes casting her fog, her dying animation plays but the fog and health bar stay. You have to wait until the fog disappears to see the "Nightmare Slain" screen. Attacking it with the transformed Chikage makes her take a massive damage burst after a few hits, like bleed or frenzy. Alright, you can cheese this boss really hard with the Blacksky Eye. I beat the boss while she was in phase one using it exclusively. I thought I messed up somehow. Would someone be willing to help me with this boss? Please. I am trying to complete a new playthrough with no leveling. Stuck on Mergo and Ludwig. I am not getting any random summon probably because of my level. Help me please? Thank you. If you&apos;re having trouble with the clones, you can just run around in circles until the buff wears off. For a final boss of the good ending she&apos;s very very easy. 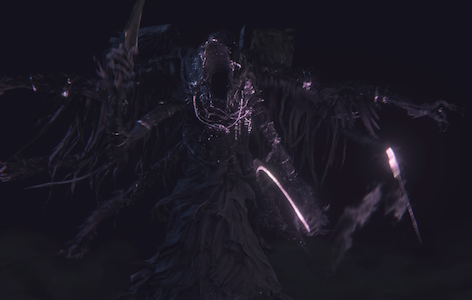 Not once during my first and only battle with her in my first playthrough did she try and cast nightmare veil. I was wondering why she felt so easy. 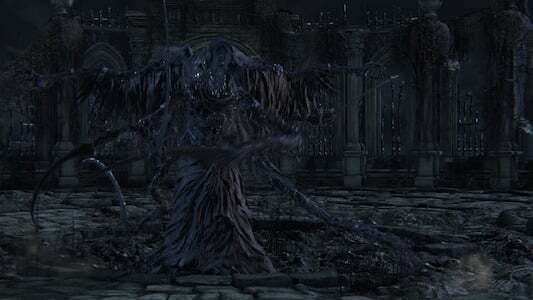 Does not have the same number of limbs as Amygdala--Amygdala has 9 limbs (7 arms, 2 legs), whereas Wet Nurse has 8 arms and maaaybe 2 legs, but with or without the legs, it does not add up to 9. 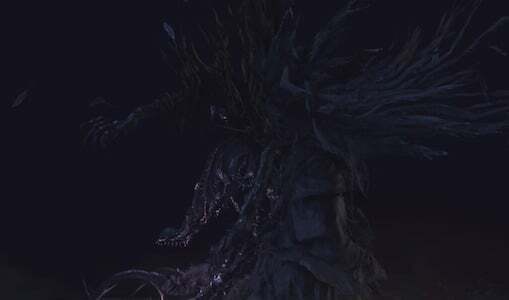 Not that it matters much, as spidery creatures are a big trend in Bloodborne and obviously all share some connection, but most people miss that detail on Amygdala. Oh wow, so that&apos;s why it took forever for it to say "Nightmare Slain". I thought it was a glitch. That&apos;s pretty cool. What happens if you use the Bold Hunter&apos;s Mark after killing the Wet Nurse, but before Mergo stops crying and the "NIGHTMARE SLAIN" banner appears? I know if you respawn after killing Moon Presence, you can avoid the credit roll and NG+ cycle even though MP is dead. 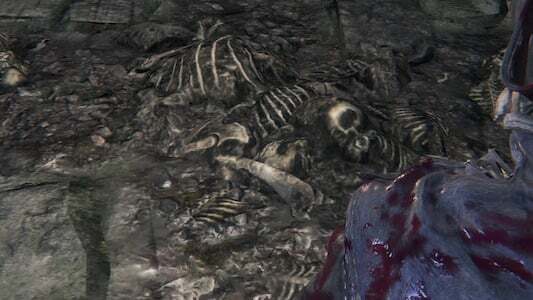 I wonder if you would have to fight the Wet Nurse all over again, or if Mergo would just stay alive, or if Mergo would die upon respawning... Oh damn I gotta test this out now. 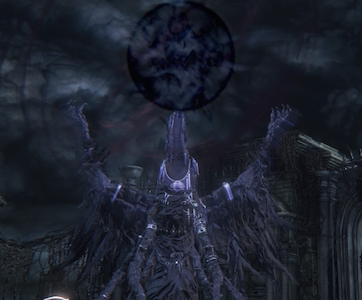 I wonder if Mergo&apos;s Wet Nurse might have something to do with the "call to the bloodless" mentioned by the Befuddled Villager. I mean, the Wet Nurse IS kind of the one perpetuating the dream and the scourge, which is evidently the exact sort of curse the Villager wanted to place on the "blasphemous murderers..." And if there was one word to physically describe the Wet Nurse, I&apos;d say "bloodless" is a pretty accurate contender. 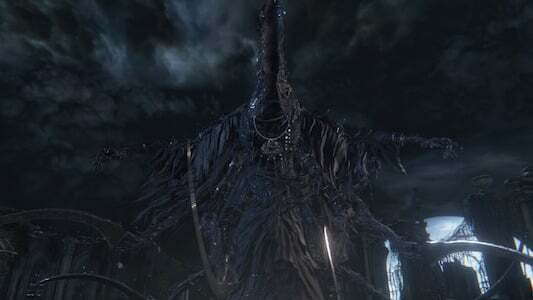 Honestly, I feel there&apos;s a strong connection between Mergo&apos;s Wet Nurse and Eileen The Crow. My reasoning behind this is simply due to them having similar qualities. 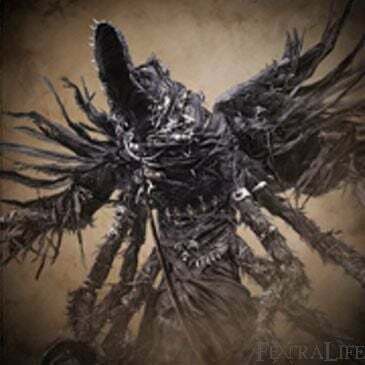 One clue is that the wet nurse&apos;s attire and feathers are very much like Eileen&apos;s attire, the Crowfeather set, and it mentions "sky burial" (leading to where the wet nurse appears from i.e. the sky). 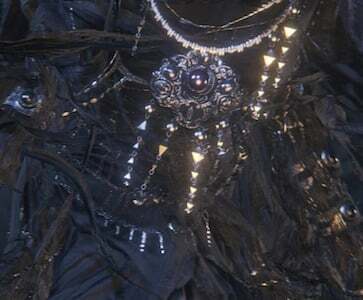 Another clue would be the description of the Blade of Mercy, "forged with siderite, a rare mineral of the heavens," which is similar to the wet nurse&apos;s blades and Gherman&apos;s Burial Blade- as mentioned in the notes. 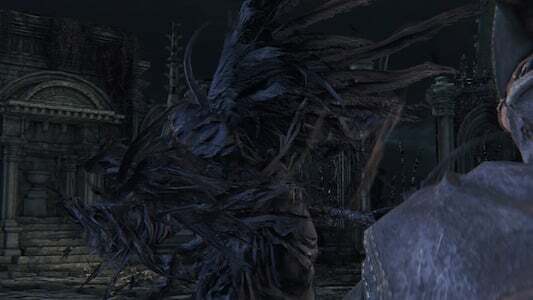 One other thing that is a bit far-fetched is that out of most of the NPC&apos;s we never see Eileen&apos;s face, which could give the idea that she has no face, similar to the wet nurse. Now, this is simply just a theory and nothing is concrete. The boss is very reminisent of Untitled artwork by Beksinski. He painted a lot of eldritching things. 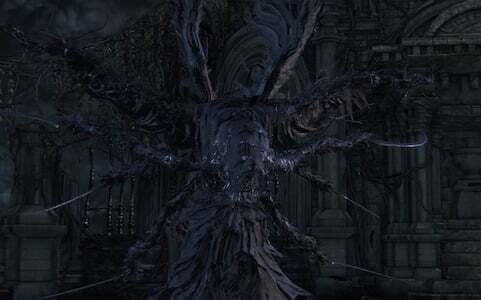 Safe to assume Bloodborne may have drew inspiration from his works. Ah, obviously I’m the only one who struggles with this boss. 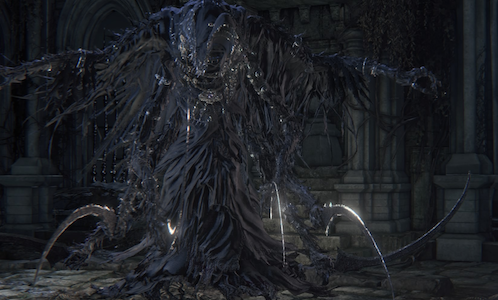 This is pretty much the baby sitter of bloodborne. 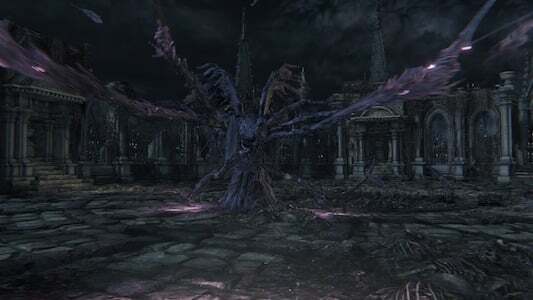 It&apos;s just my impression or this boss fight is designed to be a cakewalk for a ranged build? I fought her as a physical quality build and found out she barely did anything at all while I was at long range. 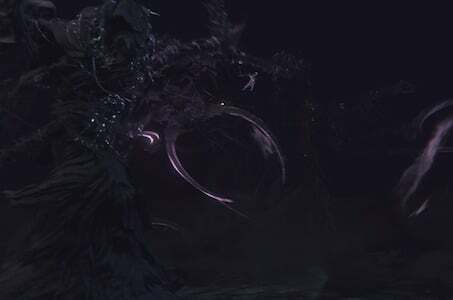 In fact, the fight was a constant getting closer, fishing the attack, dodging it, land some hits and rinse and repeat...the only difficult part, for me, was the dark mist part, actually....can someone whi played ranged build confirm this?